For other uses, see Diary (disambiguation). A diary is a record (originally in handwritten format) with discrete entries arranged by date reporting on what has happened over the course of a day or other period. A personal diary may include a person's experiences, thoughts, and/or feelings, excluding comments on current events outside the writer's direct experience. Someone who keeps a diary is known as a diarist. Diaries undertaken for institutional purposes play a role in many aspects of human civilization, including government records (e.g. Hansard), business ledgers, and military records. In British English, the word may also denote a preprinted journal format. A diary is a collection of notes. Today the term is generally employed for personal diaries, normally intended to remain private or to have a limited circulation amongst friends or relatives. The word "journal" may be sometimes used for "diary," but generally a diary has (or intends to have) daily entries, whereas journal-writing can be less frequent. Although a diary may provide information for a memoir, autobiography or biography, it is generally written not with the intention of being published as it stands, but for the author's own use. In recent years, however, there is internal evidence in some diaries (e.g. those of Ned Rorem, Alan Clark, Tony Benn or Simon Gray) that they are written with eventual publication in mind, with the intention of self-vindication (pre- or posthumous), or simply for profit. By extension the term diary is also used to mean a printed publication of a written diary; and may also refer to other terms of journal including electronic formats (e.g. blogs). The word diary comes from the Latin diarium ("daily allowance," from dies "day"). The word journal comes from the same root (diurnus "of the day") through Old French jurnal (modern French for day is jour). The earliest use of the word refers to a book in which a daily record was written was in Ben Jonson's comedy Volpone in 1605. The oldest extant diaries come from Middle Eastern and East Asian cultures, although the even earlier work To Myself (Τὰ εἰς ἑαυτόν), today known as the Meditations, written in Greek by the Roman Emperor Marcus Aurelius in the second half of the 2nd century AD, already displays many characteristics of a diary. Pillowbooks of Japanese court ladies and Asian travel journals offer some aspects of this genre of writing, although they rarely consist exclusively of diurnal records. The scholar Li Ao (9th century AD), for example, kept a diary of his journey through southern China. In the medieval Near East, Arabic diaries were written from before the 10th century. The earliest surviving diary of this era which most resembles the modern diary was that of Ibn Banna' in the 11th century. His diary is the earliest known to be arranged in order of date (ta'rikh in Arabic), very much like modern diaries. The precursors of the diary in the modern sense include daily notes of medieval mystics, concerned mostly with inward emotions and outward events perceived as spiritually important (e.g. Elizabeth of Schönau, Agnes Blannbekin, and perhaps also, in the lost vernacular account of her visions, Beatrice of Nazareth). From the Renaissance on, some individuals wanted not only to record events, as in medieval chronicles and itineraries, but also to put down their own opinions and express their hopes and fears, without any intention to publish these notes. One of the early preserved examples is the anonymous Journal d'un bourgeois de Paris that covers the years 1405–49, giving subjective commentaries on the current events. Famous 14th- to 16th-century Renaissance examples, which appeared much later as books, were the diaries by the Florentines Buonaccorso Pitti and Gregorio Dati and the Venetian Marino Sanuto the Younger. Here we find records of even less important everyday occurrences together with much reflection, emotional experience and personal impressions. In 1908 the Smythson company created the first featherweight diary, enabling diaries to be carried about. Many diaries of notable figures have been published and form an important element of autobiographical literature. Samuel Pepys (1633–1703) is the earliest diarist who is well known today; his diaries, preserved in Magdalene College, Cambridge, were first transcribed and published in 1825. Pepys was amongst the first who took the diary beyond mere business transaction notation, into the realm of the personal. Pepys' contemporary John Evelyn also kept a notable diary, and their works are among the most important primary sources for the English Restoration period, and consist of eyewitness accounts of many great events, such as the Great Plague of London, and the Great Fire of London. The practice of posthumous publication of diaries of literary and other notables began in the 19th century. As examples, the Grasmere Journal of Dorothy Wordsworth (1771–1855) was published in 1897; the Journals of Fanny Burney (1752–1840) were published in 1889; the diaries of Henry Crabb Robinson (1776–1867) were published in 1869. Among important U.S. Civil War diaries are those of George Templeton Strong, a New York City lawyer, and Mary Chesnut, the wife of a Confederate officer. The diary of Jemima Condict, living in the area of what is now West Orange, New Jersey, includes local observations of the American Revolutionary War. Since the 19th century the publication of diaries by their authors has become commonplace – notably amongst politicians seeking justification but also amongst artists and litterateurs of all descriptions. Amongst late 20th-century British published political diaries, those of Richard Crossman, Tony Benn and Alan Clark are representative, the latter being more indiscreet in the tradition of the diaries of Chips Channon. In Britain in the field of the arts notable diaries were published by James Lees-Milne, Roy Strong and Peter Hall. Harold Nicolson in the mid-20th century covered both politics and the arts. 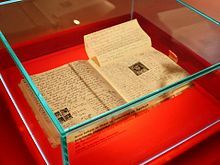 One of the most famous modern diaries, widely read and translated, is the posthumously published The Diary of a Young Girl by Anne Frank, who wrote it while in hiding during the German occupation of Amsterdam in the 1940s. Otto Frank edited his daughter's diary and arranged for its publication after the War. Many edits were made before the diary was published in other countries. This was due to the sexually explicit material, which also led to some libraries banning the book. The writing of diaries was also often practiced from the 20th century onwards as a conscious act of self-exploration (of greater or lesser sincerity) – examples being the diaries of Carl Jung, Aleister Crowley and Anaïs Nin. Among important diaries by 20th-century literary figures are those of Franz Kafka, Edmund Wilson and the French writer Paul Léautaud (1872–1956). The self-reflective Diary: Divine Mercy in My Soul written by Saint Faustina contains accounts of her visions and conversations with Jesus. A strong psychological effect may arise from having an audience for one's self-expression, even if this is the book one writes in, only read by oneself – particularly in adversity. Anne Frank went so far as to address her diary as "Kitty." Friedrich Kellner, a court official in Nazi Germany, thought of his diary as a weapon for any future fight against tyrants and terrorism, and named it "Mein Widerstand," My Opposition. Victor Klemperer was similarly concerned with recording for the future the tyrannies and hypocrisies of Nazi Germany and of its East German successor state in his diaries. In none of these cases, however, did the authors anticipate early – or indeed any – publication. The internet has also served as a way to bring previously unpublished diaries to the attention of historians and other readers, such as the diary of Michael Shiner, a 19th-century slave who documented his life in Washington, D.C.
Web-based services such as Open Diary (started in October 1998) and LiveJournal (January 1999) soon appeared to streamline and automate online publishing, but growth in personal storytelling came with the emergence of blogs. While the format first focused on external links and topical commentary, widespread blogging tools were quickly used to create web journals. Recent advances have also been made to enable the privacy of internet diary entries. For example, some diary software now stores entries in an encrypted format, such as 256-bit AES (Advanced Encryption Standard) encryption, and others only permit access to the diary after correct PIN entry on a secure USB device. With the popularization of mobile apps, diary or journaling apps have become available for iOS and Android. Proponents cite the following as primary reasons for journaling with digital applications: Ease and speed of typing; mobile portability; search capabilities; entry location, date, and other metadata from mobile phones; and, tags and other organizational features. Digital diaries also seem tailored towards shorter-form, in-the-moment writing, similar to user engagement with Facebook, Twitter, Instagram, and other social media services. A personal organizer is a form of diary to list actions and tasks for the day, which are recorded in a log, often using symbols to differentiate and categorize items. A diet journal or food diary is a daily record of all food and beverage consumed as a means of tracking calorie consumption for the purpose of weight loss or other nutritional monitoring. A gardening journal helps gardeners improve their efforts over time by providing a historical record of actions taken, the weather and other elements and the results. A sleep diary or sleep log is a tool used in the diagnosis and treatment of sleep disorders or to keep track of dreams had in order to gain insight to the subconscious or for other further contemplating. The German Tagebuch ("day-book") is normally rendered as "diary" in English, but the term encompasses workbooks or working journals as well as diaries proper. For example, the notebooks of the Austrian writer Robert Musil and of the German-Swiss artist Paul Klee are called Tagebücher. There are numerous examples of fictional diaries. One of the earliest printed fictional diaries was the humorous Diary of a Nobody by George Grossmith and his brother Weedon. 20th-century examples include radio broadcasts (e.g. Mrs. Dale's Diary) and published books (e.g. the Diaries of Adrian Mole). Both prompted long-running satirical features in the magazine Private Eye: the former entitled Mrs Wilson's Diary in reference to Mary Wilson, wife of Prime Minister Harold Wilson, the latter entitled "The Secret Diary of John Major Aged 47¾" and written as a pastiche of the Adrian Mole diaries from the perspective of the then-Prime Minister John Major. Another famous example of fictional diaries as prose is Bram Stoker's Dracula. A modern example includes the Diary of a Wimpy Kid series where each book of the series is written in a first-person view of the main character, as if the book were an actual diary. Other examples are the Bert Diaries and the cellphone diaries in the Japanese manga and anime television series Future Diary. ^ "Diary". Merriam-Webster. Retrieved 7 June 2012. ^ "Journal". Merriam-Webster. Retrieved 7 June 2012. ^ "Diary". Online Etymology Dictionary. Retrieved 22 June 2012. ^ Makdisi, George (May 1986). "The Diary in Islamic Historiography: Some Notes". History and Theory. 25 (2): 173–85. doi:10.2307/2505304. JSTOR 2505304. ^ "SparkNotes: Diary of a Young Girl: March 14, 1944–April 11, 1944". sparknotes.com. ^ This practice is explored in Tristine Rainer, The New Diary, 1978. ^ Harmanci, Reyhan (20 February 2005). "Time to get a life — pioneer blogger Justin Hall bows out at 31". SFgate. Retrieved 9 June 2006. ^ "Carolyn's Diary Museum". carolyn.org. ^ Chavanu, Bakari (14 July 2014). "10 Reasons I Prefer Digital Journal Writing Over Pen and Paper". ^ Hamburger, E (3 August 2012). "Day One: journal app nirvana in the Twitter age". The Verge. ^ Ward, Jewel (18 December 2013). "The 'bullet journal': a new time organizing method or a recycled idea?". tamingdata.com. Retrieved 27 December 2017. ^ Cf. Andreas Dorschel, 'Denktagebücher: Zur Poetik des philosophischen Journals', Philosophische Rundschau LX (2013), no. 4, pp. 264–298. Ronald Blythe, The Pleasures of Diaries: Four Centuries of Private Writing (Pantheon, 1989, ISBN 0-394-58017-6) — the book contains selections from (mostly) English diarists' work. Look up diary in Wiktionary, the free dictionary. Look up diarist in Wiktionary, the free dictionary.